Same charcoal fabric as our trial suit. Also available made-to-measure as fabric 7001. These are best worn as part of a suit. 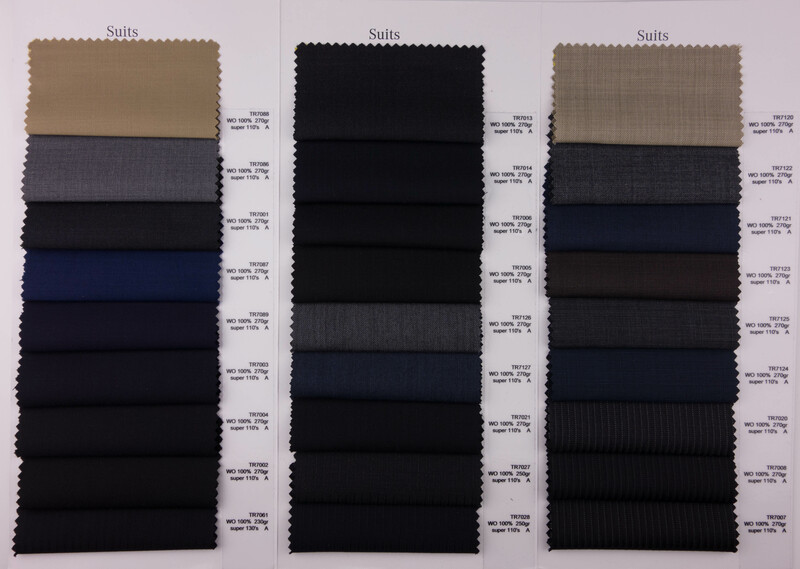 If you're looking for odd trousers, we suggest the dark grey pick-and-pick, as that has more texture and is a slightly lighter color, so that it won't look like orphaned suit trousers. Flat front. Lined to the knee. Split, curtained waistband. Rubber grips to keep shirt tucked. Three-point closure. Hidden waistband lighter pocket. Black horn buttons. Zip fly. Hand-sewn pick-stitching. Unfinished hem.